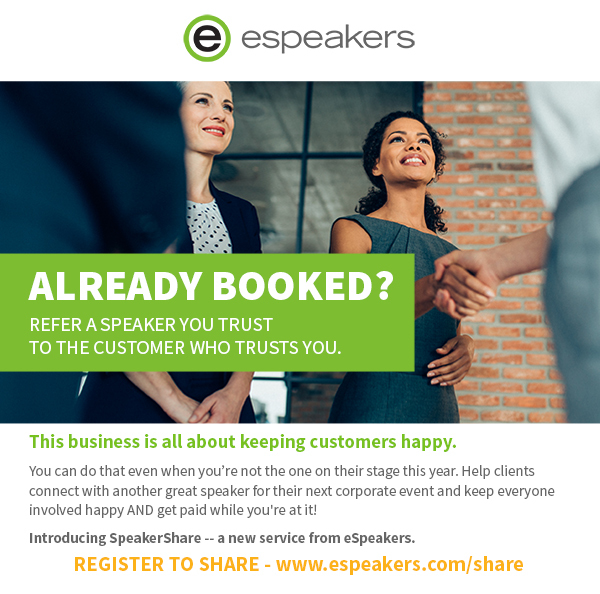 We are excited to announce a new service called SpeakerShare. It’s a new way to take care of your customers even when you’re not speaking to them. You can help clients connect with another great speaker for their next corporate event and keep everyone involved happy AND get paid while you’re at it!